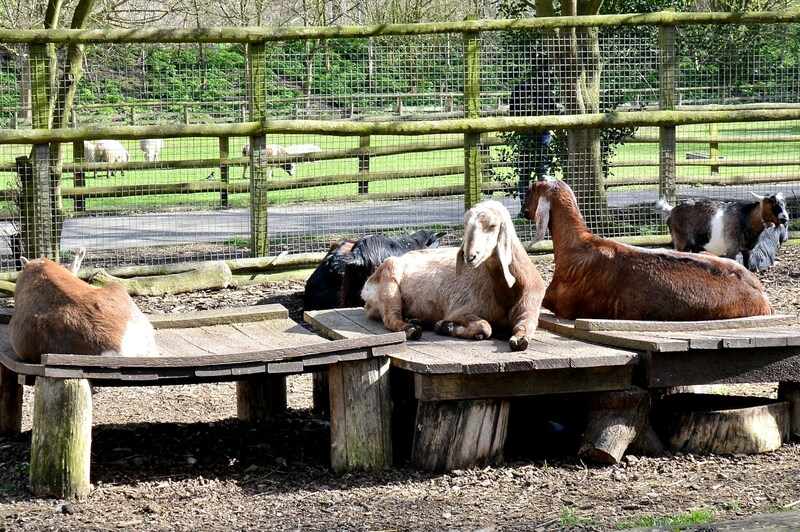 Mudchute London City Farm ⇒. 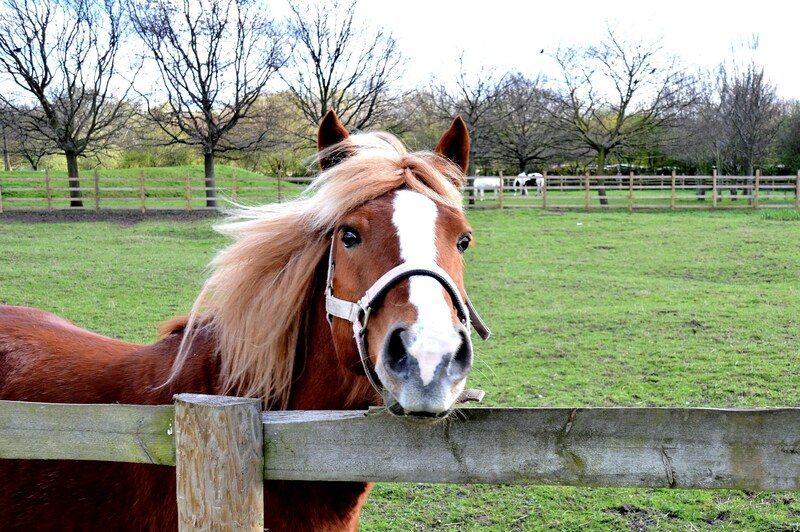 “Set in 32 acres of countryside in the heart of East London, the Mudchute is a community charity, with a working farm, stables, a children’s nursery and a wide range of education activities. We are open every day, free of charge”. 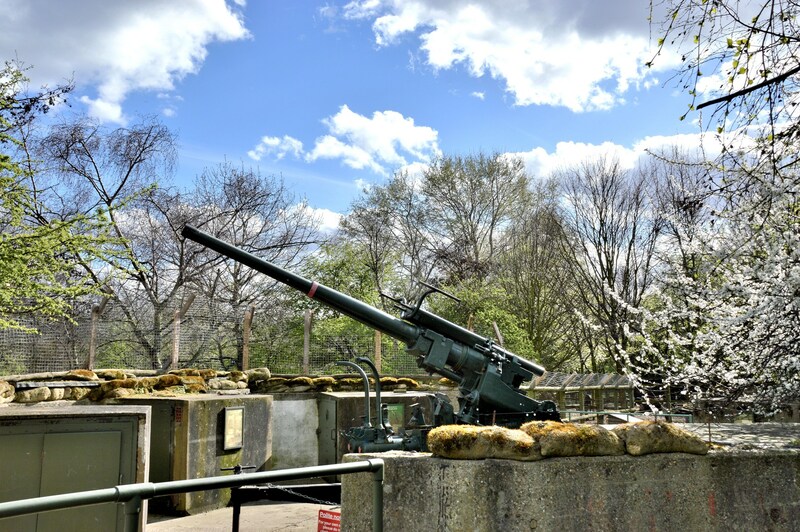 There are also miniature ponies, goats, lamas, alpacas, donkeys, ducks, geese, sheep, a pets corner, a small aviary, a nature trail, a shop/café and a restored WWII ack-ack gun. The area originally acquired its name from being a dumping ground for the mud/silt being dredged from the Millwall Docks during the 1800’s. History ⇒. I started from the Pier Street entrance/exit and only had enough time to photograph some of it. 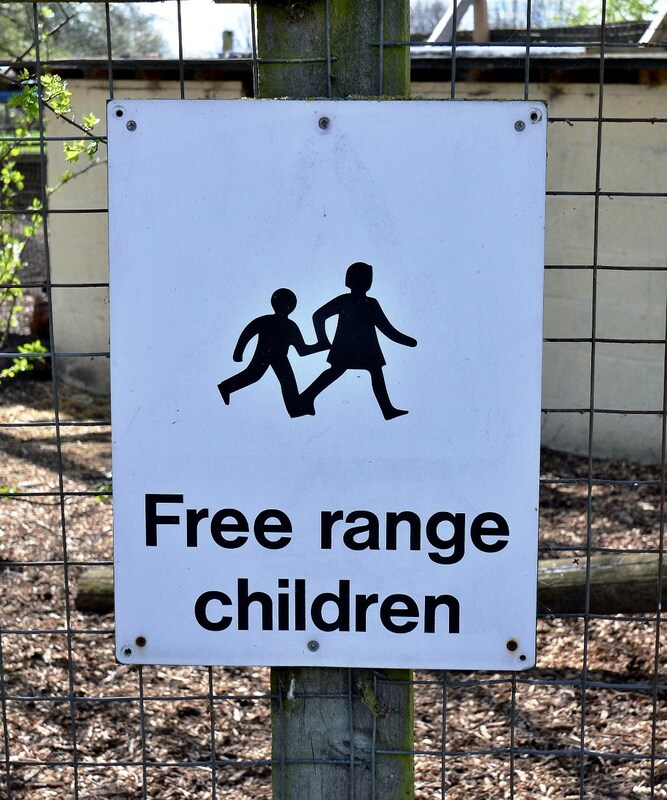 The farm is very child friendly. Whilst there I saw some little ones, with spades taller than themselves, cheerfully moving earth from one place to another. The top of the fence is open but it keeps out the foxes and the farm’s cat who, of course, thinks he owns the place. 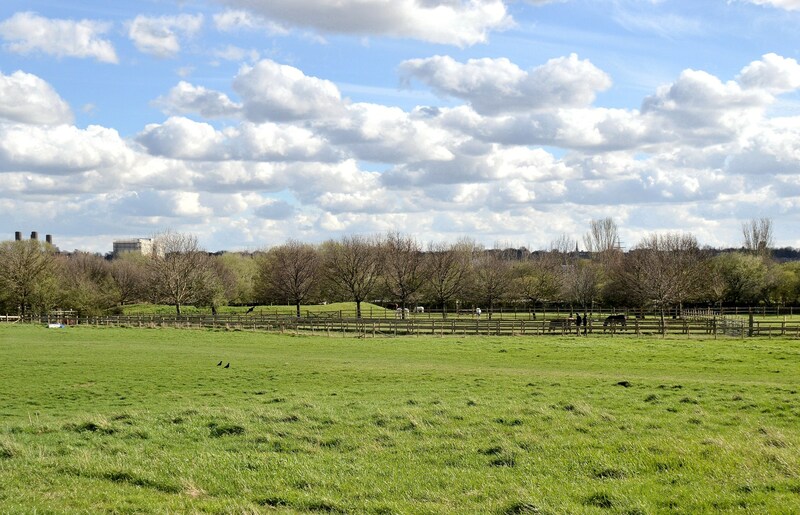 The farm is just a little south of the greatly regenerated London Docklands. 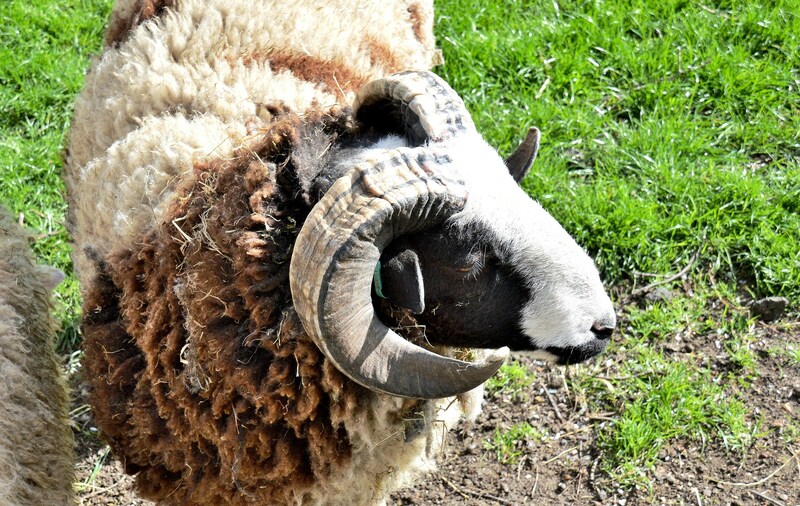 Some breeds of ewes have horns. I think that these are a mix of Jacob sheep and White Face Woodland sheep. At first they were very interested in visitors, but it didn’t last long. Loss of interest was quickly followed by a lot of very loud baaing. 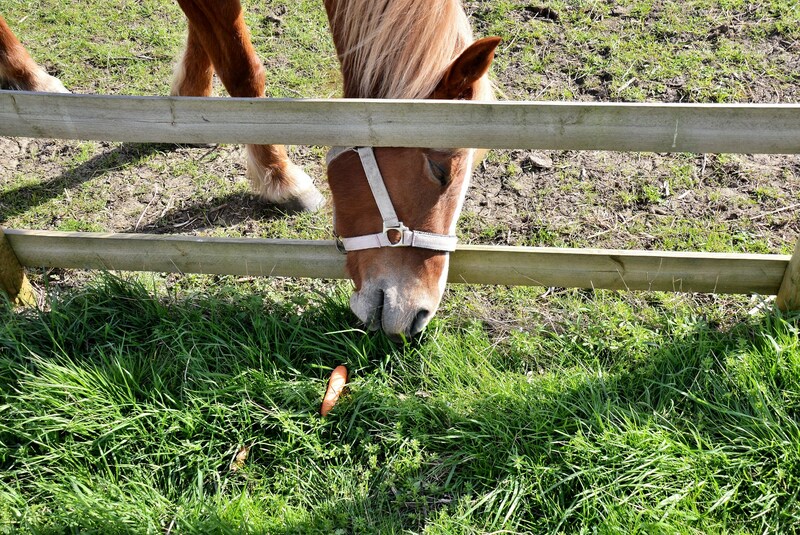 I finally realised that nibbles, bought from the shop, were expected . “Baaaa. This one ain’t got no nibbles, Baaa”. 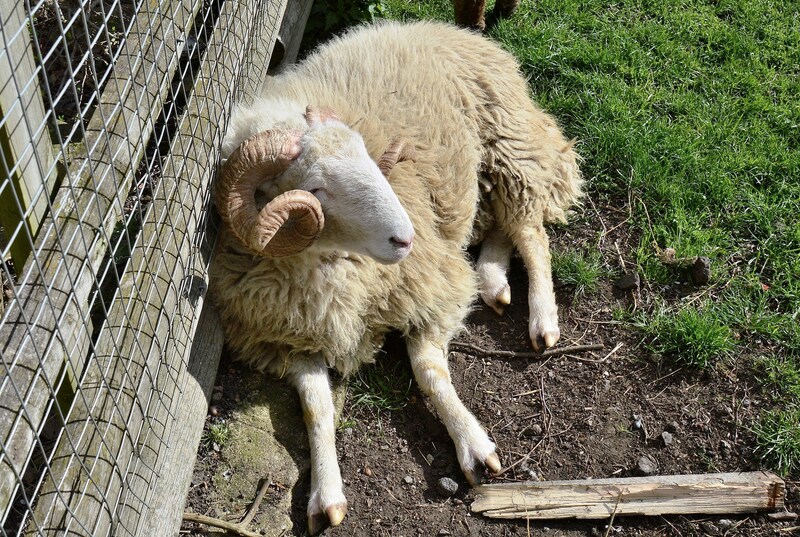 “Baaa, you tell ‘im Agnes”. “Yeaaah baaa, can’t come around ‘ere with no nibbles, the cheek of it, baaa”. Fearing the firing squad, I departed. 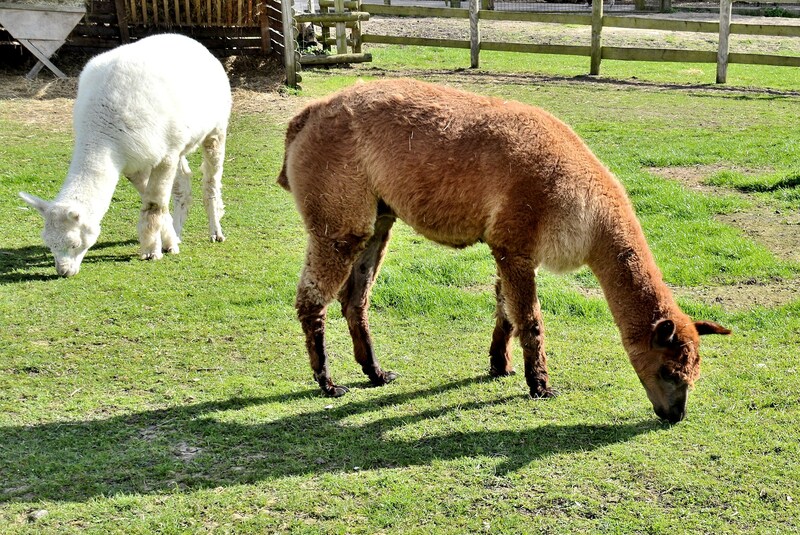 These are either llamas or alpacas. I’ll avoid the obvious joke of not wanting to stick my neck out on that. “Just having lunch at the moment”. “Oh yummy the gourmet table”. From the other side of the farm looking south. 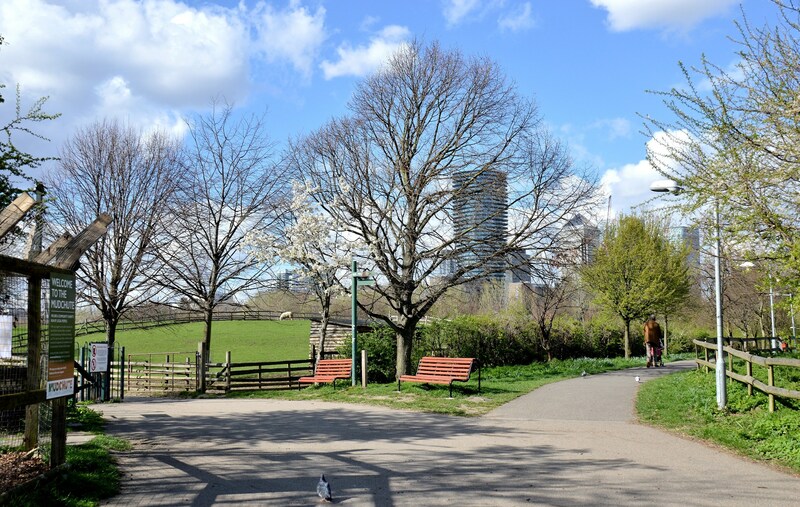 There is an exit/entrance near here to Mudchute Docklands Light Railway (DLR) station. I hope enjoyed your visit. 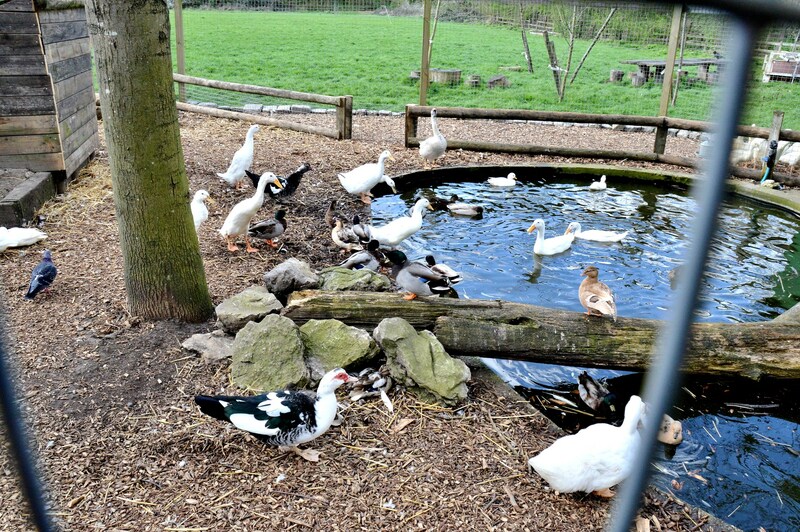 In East London there is also Hackney City Farm ⇒ and Spitalfields City Farm ⇒. This entry was posted on March 26, 2017 by Graham in Hats. 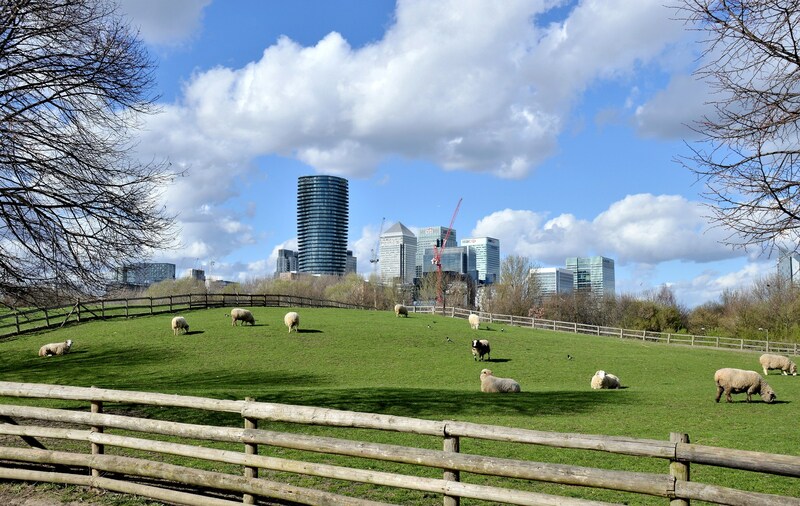 It was filed under Animals, East London, Free, places to photograph in london, Places to Visit, Travel, uk and was tagged with city farm, ducks, educational, Geese, goats, horses, lamas, mudchute city farm, sheep. Hard to believe you’re in London! 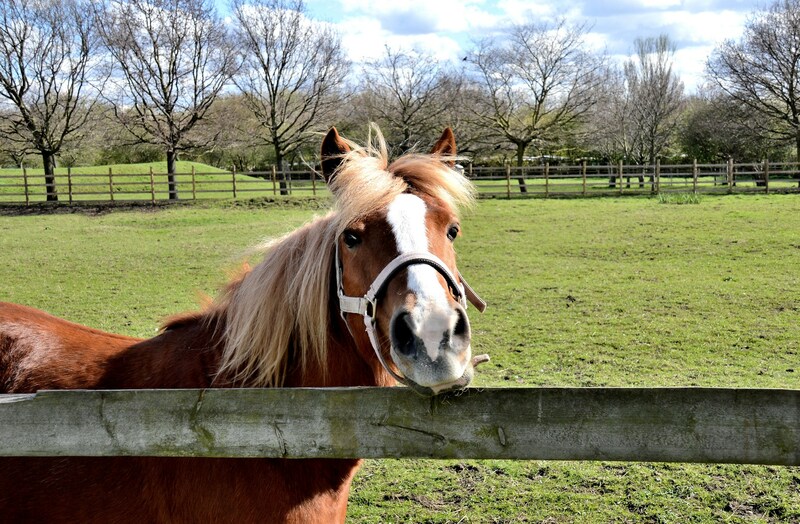 Great shots – I love that sweet horse. I’d known it was there for some time but still pleasantly surprised when I went to take a look. 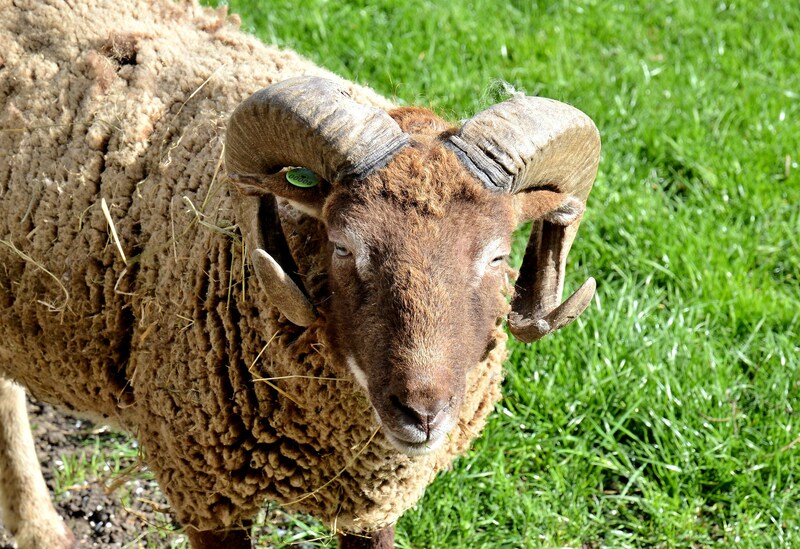 My thought process while scrolling through your photos: Oh, isn’t that nice, a paddock in the city, and there’s sheep, oh look, look at all the great curled horns, these sheep are grea….whoa..these ship are armed, seriously armed. Ahh the perennial question, full of if ands and butts. I think they are for attaching telephones and occasionally drying a handkerchief. 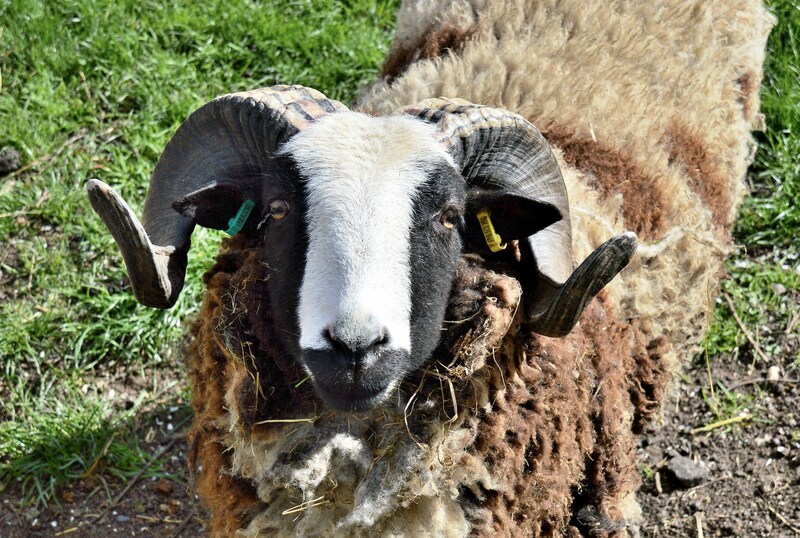 Not many female sheep have handlebars. Perhaps it’s so that they are not outdone by bicycles. I’ll give the matter some more thought.